With kids and adults alike obsessed with augmented reality mobile game Pokémon Go, throwing an outdoor birthday party on the Pokémon theme is the obvious idea. Here we are sharing some advice on how to make an awesome outdoor party dedicated to the cool outdoor game. 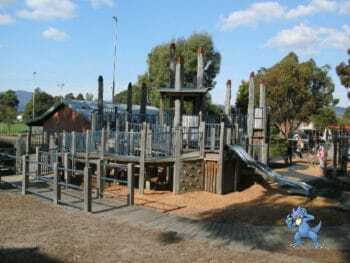 Find a Pokémon-friendly park, with several landmarks and poke-stops. A park by the lake, or any other waterbody, with lovely walking tracks around and a playground for younger kids would be your best bet. If it’s winter, consider hiring the community hall – Pokémon hunters may need a break from their endeavours. 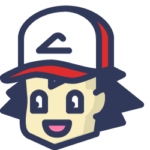 Divide the guests into two or three teams and calculate the “total catch” per team – how many Pokémons are caught altogether and how many miles are walked by both teams? Get a bunch of black and white T-shirts on eBay to hand them out to the Team Mystic and Team Instinct. Suggest the guests not (yet) infected by the game accompany the players and let them enjoy walking in the park and protecting the obsessed ones from game-inflicted injuries. One of the organisers can go on a special photo hunt with the task to take the pictures of the players – the more funny moments of the game can be caught on camera – the better! We bet your guests came dressed in Pokémon onesies or Pokémon hats! If not, offer them to make paper hats. Pikachu ears are super easy to make, and kids will enjoy this craft activity. Check online for Pokémon beanies – they could be a good substitute to a traditional lolly bag. Rent a Photobooth for your Pokémon Go Birthday Party – add some extra fun for the guests. 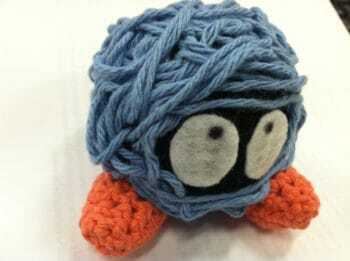 Suggest children construct their own Pokémons from recyclables, or from art and craft materials. You can source cheap craft materials from your local discount craft supplies store, like Melbourne’s Resource Rescue. Check for some great craft ideas in this blog post. Use paper plates to create Pokémon balls. Suggest boys and girls to create their own game character or organise a quick tutorial on how to draw Bulbasaur, Squirlte and the rest of the gang – YouTube videos will help you with this one. Play Pokémon charades or “who am I”. For charades, split the group into two teams, with one representative of a team portraying their favourite character in a pantomime, and the other team trying to figure out, which Pokémon is it. “Who am I” is similar – think of a Pokémon character. Let everyone ask you questions, only answering “yes” or “no”. Who will be the fastest to guess it right? Play “Tangela” (more known as a “Human knot”). Turn scavenger hunt into a Pokémon hunt, hiding small character toys or cards around. Organise a spoon race with Poké Balls instead of eggs. Play ball tiggy using a soft pokeball, with trainer as “it” and the rest of the guests as Pokémons. Throw the ball through a hole: Use a piece of plywood with a whole in it, or stretch tarpaulin between the trees, draw Pikachu as a target and let the kids throw balls to “catch” it. Give a prize to the child with the highest score. For older kids, offer Pokémon Go Gym activities. Arm-wrestling is one option. Getting each other out of a circle, hopping on one leg, is another. Even sumo-like game could be good! Rope jousting (tug of war standing on a brick or a stump) is also lots of fun! At the end of these competitions, reward the winner with a Pokémon trainer hat. Now it’s the best time to have some food and charge smartphones (the second one can be easy if you have rented a hall or if you arranged it with a nearby café). Pokémon styled pizza will look fantastic! Arrange cheese and strawberries on a plate – you’ll get pokeball snack plate. Online party supply stores will provide you with tableware and decorations. There are tons of ideas for the themed cake on the web, but nothing looks more cute than Pokémon cupcakes! After the cake is eaten, offer the guests to play good old Pokémon video games, such as Poké Park or Pokken Tournament. So that everybody could enjoy it, play the game on a big screen. All you need is an outdoor cinema (we recommend HandiTheatre from Smart Digital Australia) and your Nintendo console. Connect Wii with HDMI cable to the projector and enjoy your favourite characters projected on a big inflatable screen. With up to 4 people able to play simultaneously, offer a quick tournament. That’s where rented hall will be very handy – use the screen indoors, if the weather is not that fantastic, or if the party is held during the day. For summer night alternative, just use an extension cord and take the projection screen system outdoors. What can be better than watching a film together, sitting on a green lawn or in camping chairs? It will be interesting to watch the classical Pokemon – The First Movie or choose from this list. 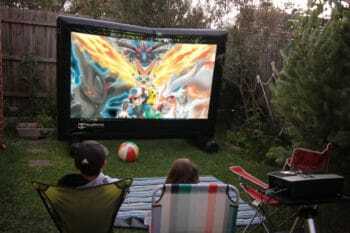 The inflatable screen is so big you can have up to 50 people in front of it, and the atmosphere will be relaxed after the big day out chasing Pokémon! 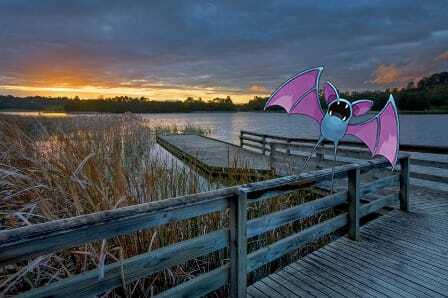 And those not yet tired can catch a couple of nocturnal Pokémon, like Gastly or Clefairy, while watching the movie! Hope our ideas will help you create fantastic outdoor Pokémon Go Birthday Party. Share your experience with us!